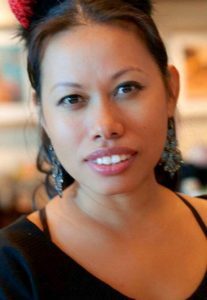 Sorng Yiv is a Partner at Glenn Barlett Consulting Services, LLC. Sorng’s background includes more than ten years of experience in the areas of office management, project coordination, purchasing, and vendor/client relations. She is responsible for tracking all of the Affirmative Action Plans the firm prepares to ensure that they are completed in a timely manner. Additionally, Sorng has extensive experience in preparing Affirmative Action Plans. Sorng is an energetic, highly motivated, results-driven professional with strong organizational and interpersonal skills. She has outstanding relationships with all members of the organization and she possesses a positive attitude and the ability to get the job. Before joining Glenn Barlett Consulting Services, LLC in 2005, Sorng owned and operated International Video and Wireless, in Philadelphia, PA. Prior to owning her own business Sorng worked at Quadriga Art, Inc., Pennsauken, NJ as an Account Executive. Sorng attended Millersville University of Pennsylvania where she majored in International Business/Trade/Commerce.